Avalanche | Clarksville Sports Network - Clarksville Tennessee's most trusted source for sports, including Austin Peay State University. Nashville, Tn– A disappointing day in Smashville today as the visiting Colorado Avalanche muscled their way through the Nashville Predators, 5-0. This is the final regular season meeting between the two teams, and the Predators were just outmatched from start to finish. It wasn’t that the Predators didn’t have plenty of opportunity with 38 shots on goal, it’s just that they couldn’t get the puck in the net. Philipp Grubauer stood tall in net for the Avs, who beat the Chicago Blackhawks last night. 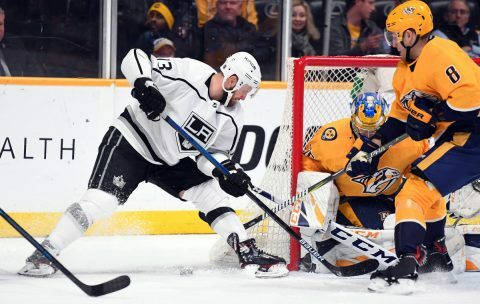 Nashville, Tn — The Nashville Predators played like gangbusters for the first two periods of hockey tonight, then had to hold on for the win against the L.A Kings, 2-1. With the win, the Predators take over first place in the Central Division of the Western Conference. 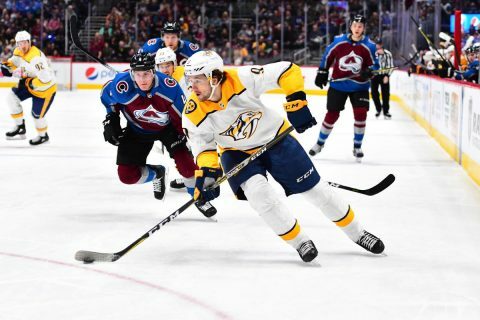 Denver, Co — The Nashville Predators took care of business in the mile high city tonight with a clutch comeback victory over the Colorado Avalanche, 3-2. That sends the series back to Nashville where the Predators can clinch the series with a win. 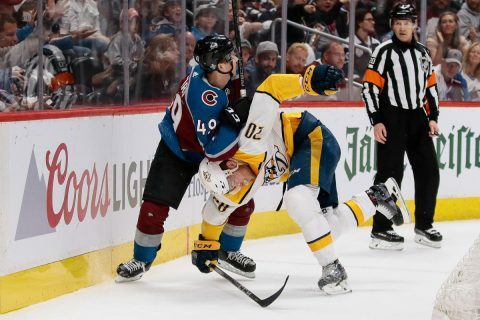 Horrible officiating dominated this contest tonight, putting Nashville in several penalty situations that didn’t appear to be called against the Avs, frustrating both players and coaches on the Nashville bench. 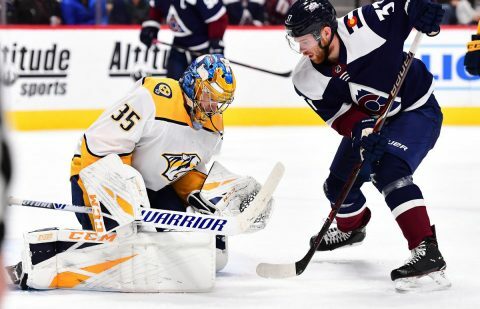 Clarksville, Tn — The Nashville Predators began a four game road trip with a come from behind win over the Arizona Coyotes, 3-2. 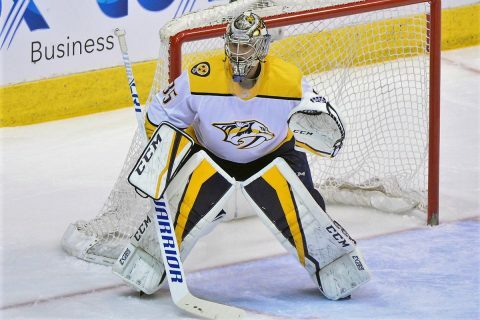 The win marks the 10th win in a row for Predators goalie, Pekka Rinne. 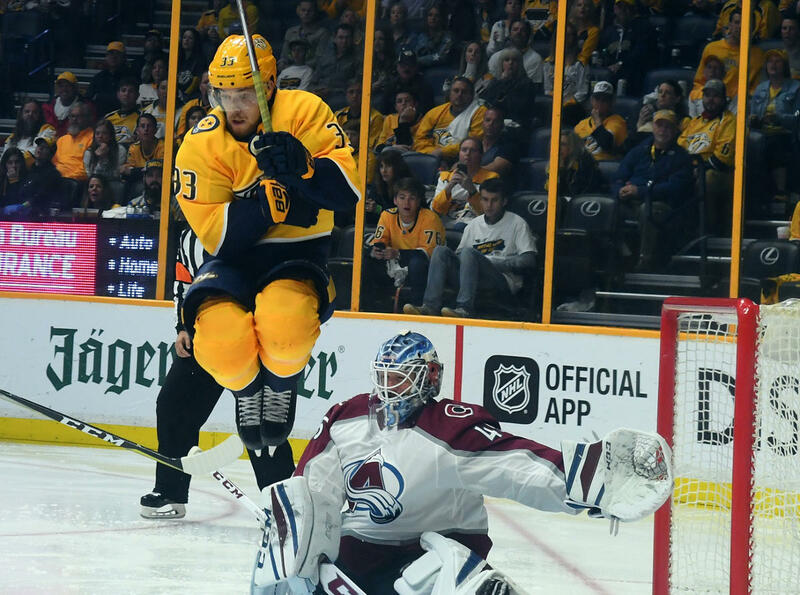 The Predators have had trouble with Arizona, with an 0-2-2 record against the team in the desert, but pulled out the win, twice coming from behind. Christian Dvorak got things started for Arizona at 4:09 of the second period with a wrist shot that beat Rinne, whose vision was blocked on the play. The Coyotes took the early lead, 1-0. 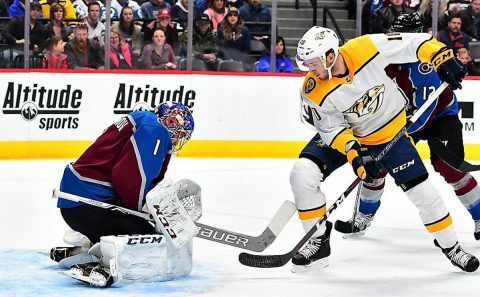 Clarksville, TN – The Nashville Predators defeated the Colorado Avalanche 4-3, sweeping their four game road trip and tieing the team’s record for consecutive wins at 8. 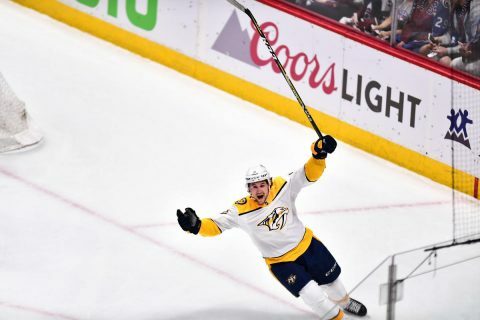 Ryan Ellis tied the game at 3-3 with just over one minute remaining in regulation, then Filip Forsberg scored the game winner in overtime to give Nashville the victory. 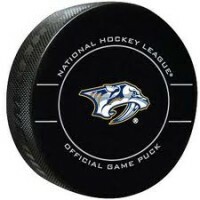 The Predators scored first at 3:09 of the first period when Austin Watson netted a wrist shot for the 1-0 lead. 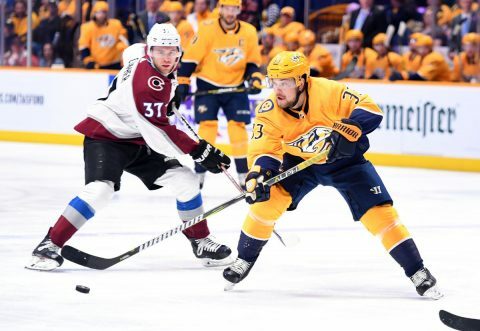 Watson was assisted by Colton Sissons and Mattias Ekholm on the play.